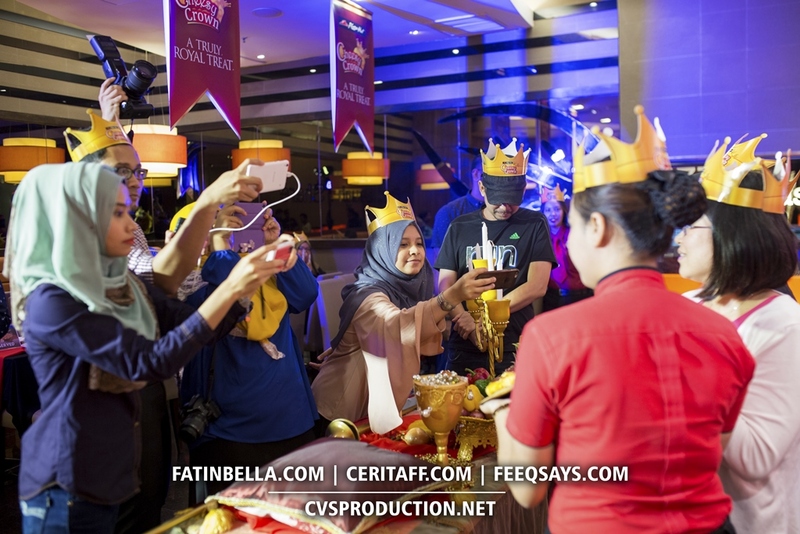 Pizza Hut Cheesy Crown (Photo & Video) – A truly royal treat! 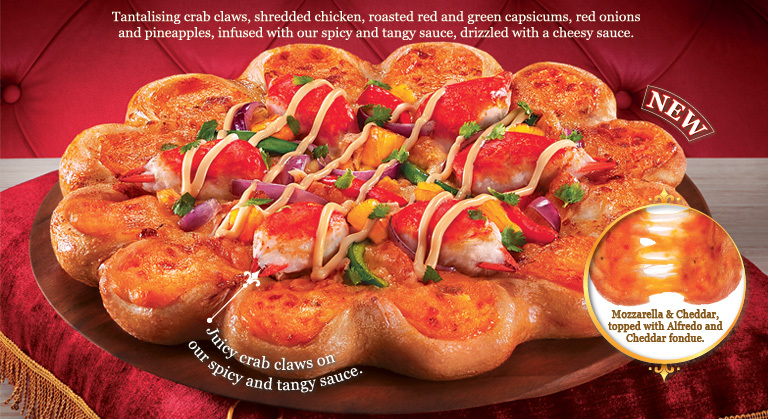 Once again, for this Chinese New Year, Pizza hut came out with a new recipe. Cheesy Crown. With the tagline ‘A Truly Royal Treat!’ the fast food chain’s latest creation will have you drooling over its unique pizza crust and toppings. Pizza topped: Mozzarella, Cheddar, Alfredo and Cheddar fondue. Ingredient: Crab claws, shredded chicken, roasted red and green capsicums, red onions, pineapple bits top the pizza, followed by a drizzling of Pizza Hut’s spicy and tangy sauce. “Valentine’s Celebration” with family and fiance. We are totally enjoying our meal during the festive holidays. The Cheesy Crown pizza is available at any Pizza Hut store nationwide until Feb 29. Pizza Hut’s latest creation offers a unique delicious crust oozing with cheese and an abundance of toppings for an indulgent experience fit for a king. 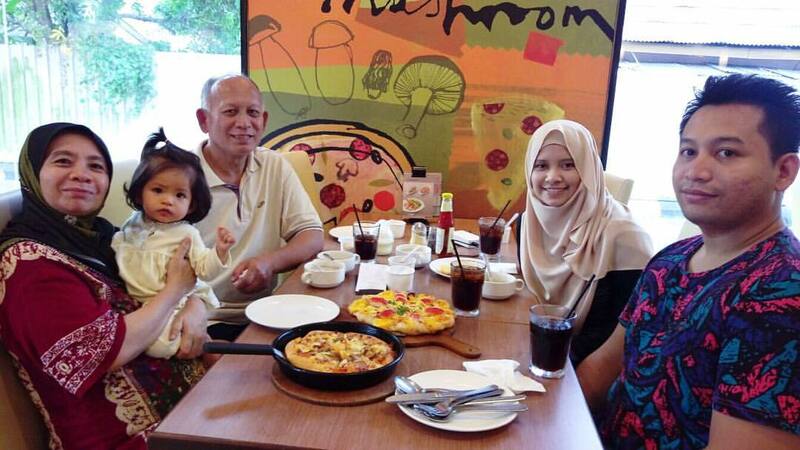 “We are very passionate about our pizzas, and are always trying to create the best taste for our customers to enjoy. The bloggers who attend Pizza Hut Cheesy Crown launch at Pavilion. When they said Cheesy Crown. They really meant it. Just look at the number of cheeses. Really cheesy. Tantalising crab claws, shredded chicken, roasted red and green capsicum, red onions and pineapples, infused with our spicy and tangy sauce, drizzled with a cheesy sauce.